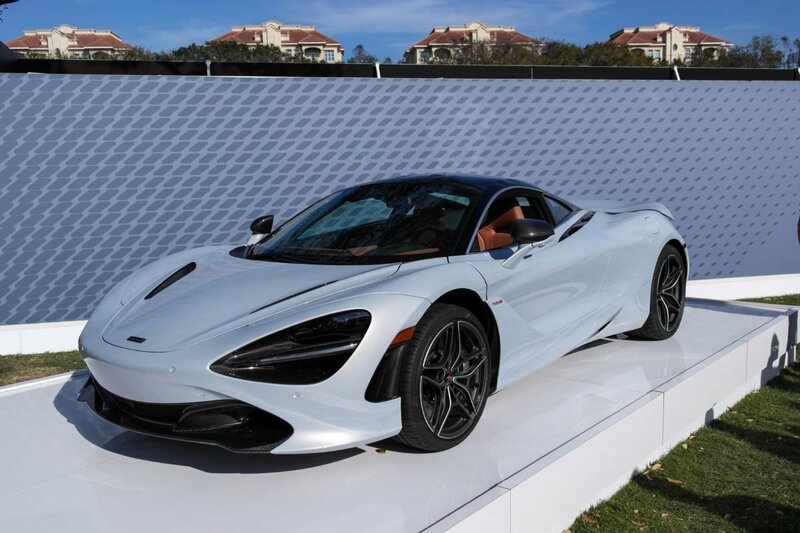 2017 did not disappoint. 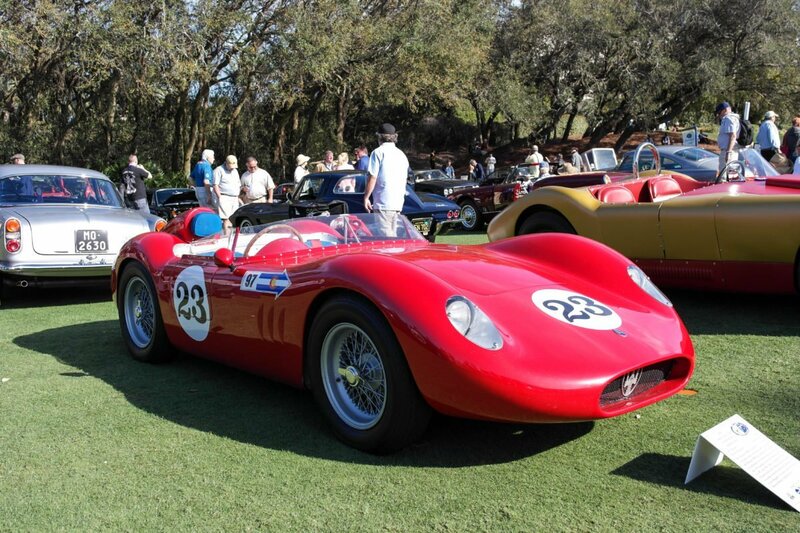 As ever, a diverse spread of rare, historically significant and gorgeous machinery was assembled for Saturday’s concours event. 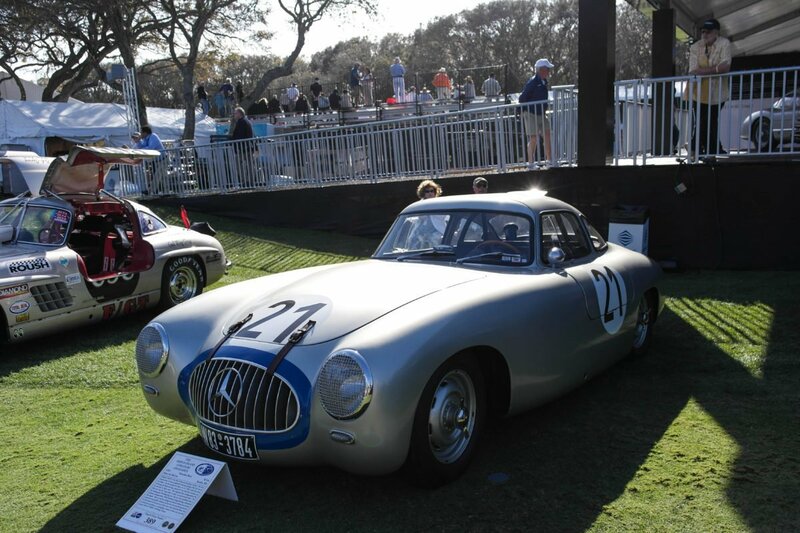 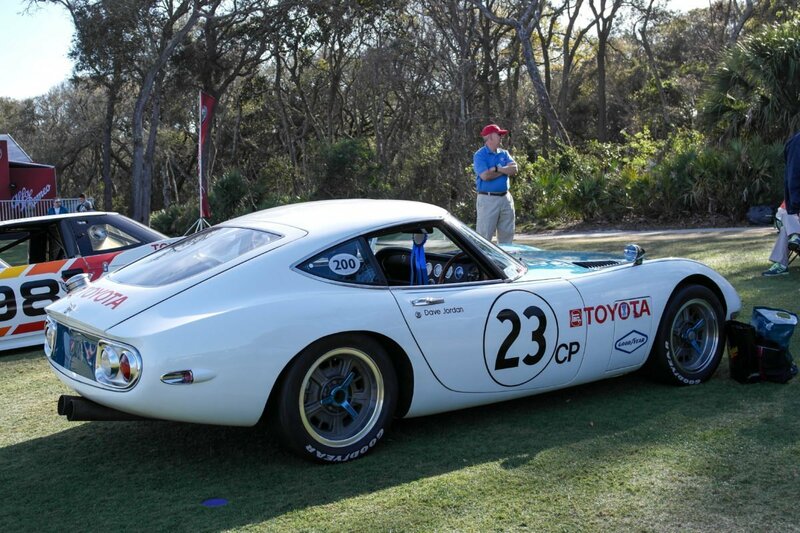 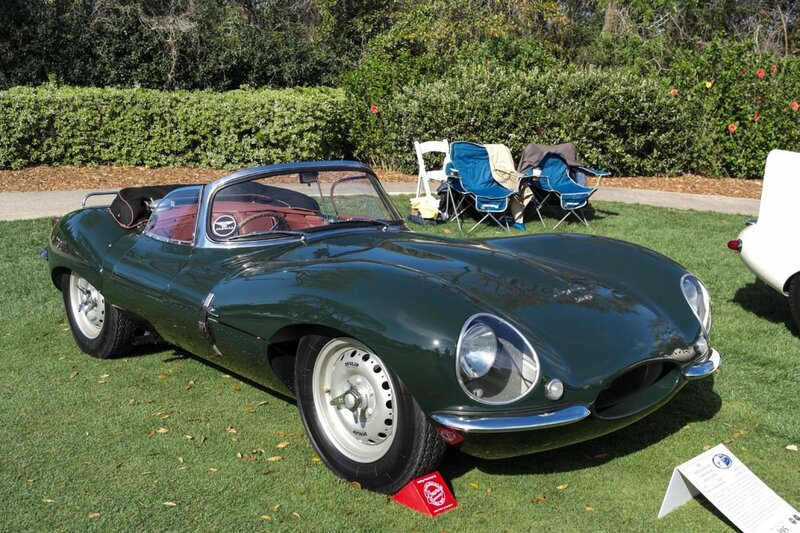 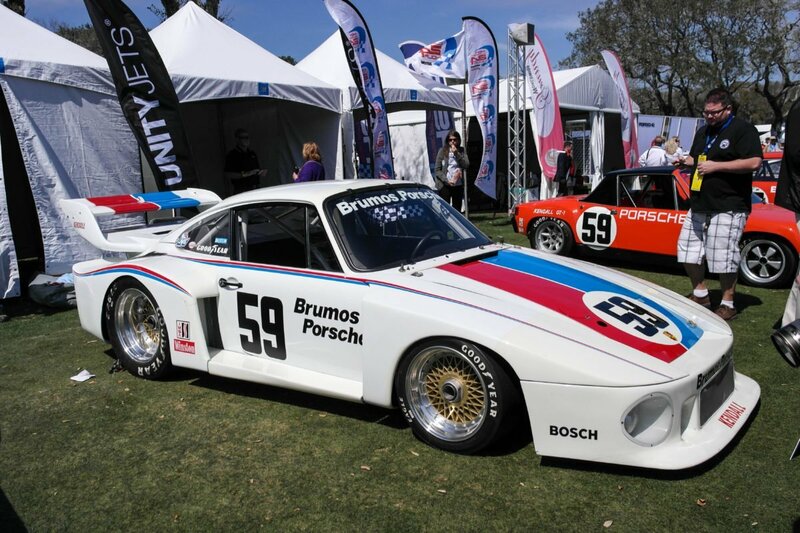 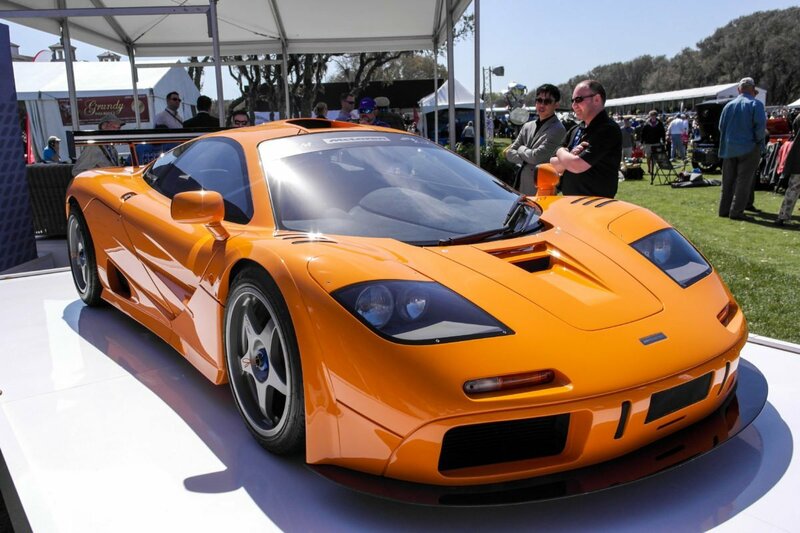 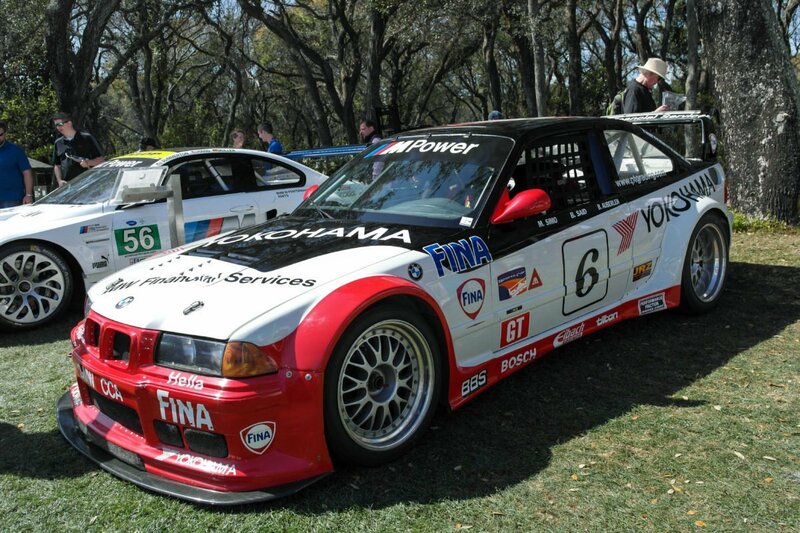 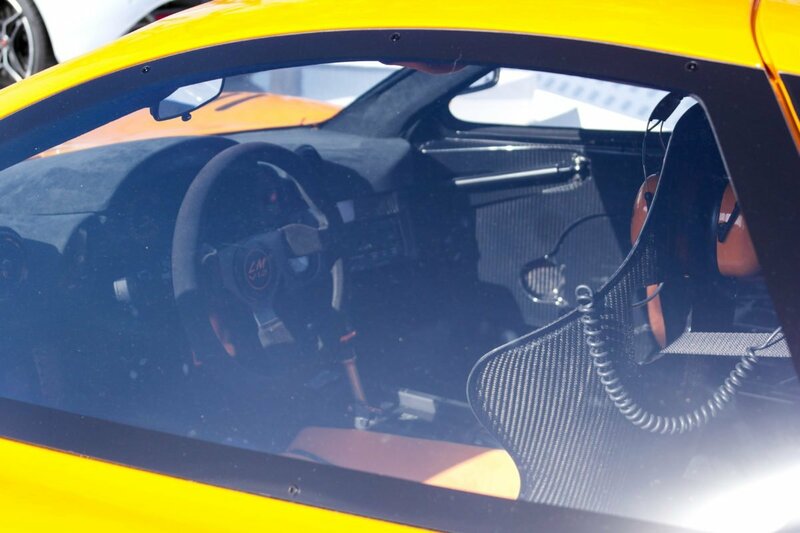 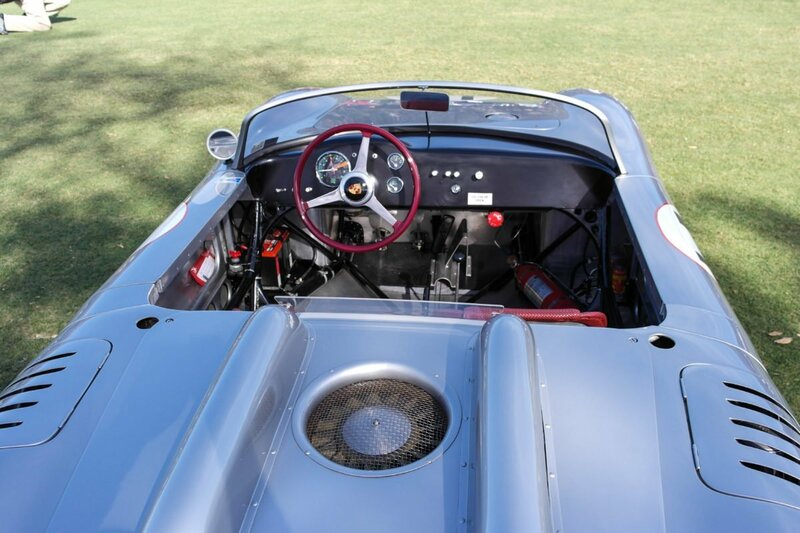 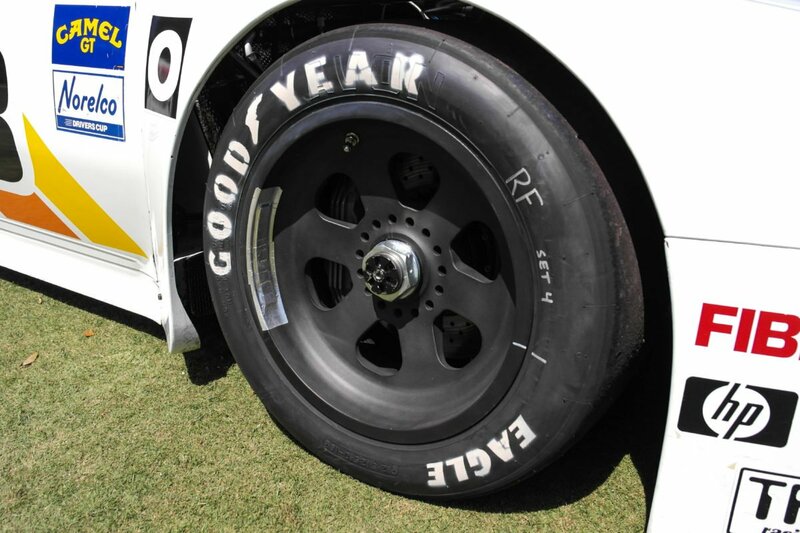 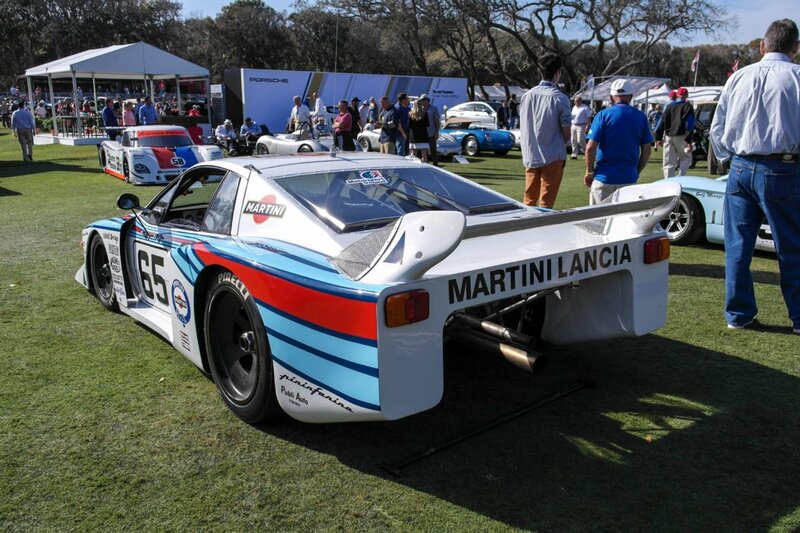 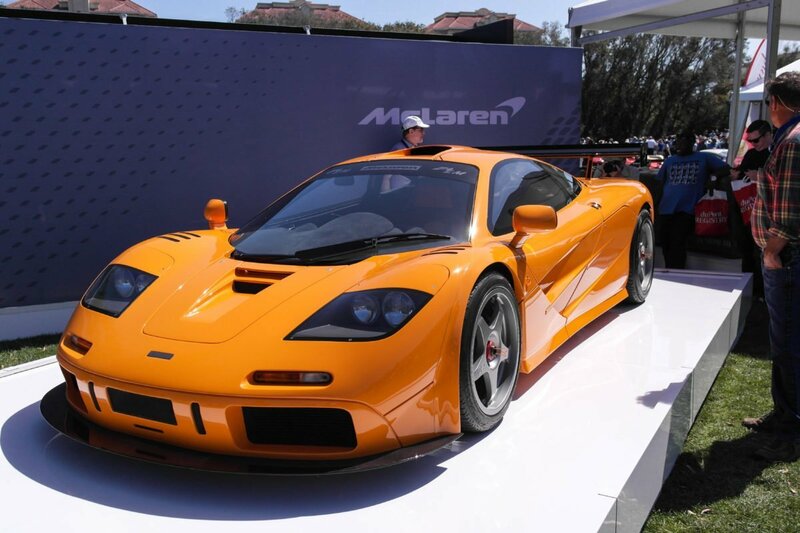 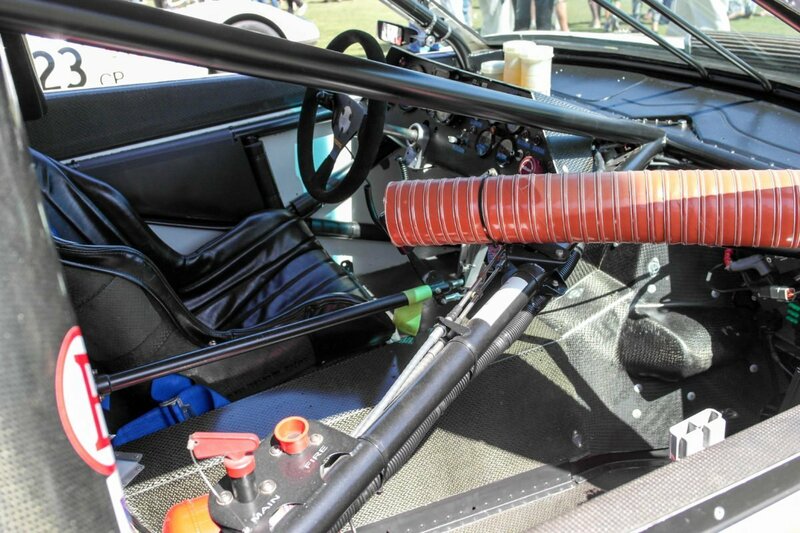 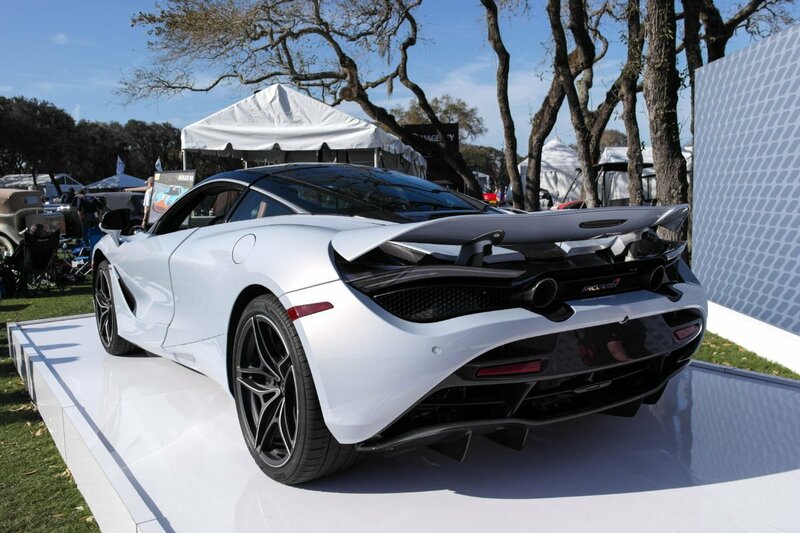 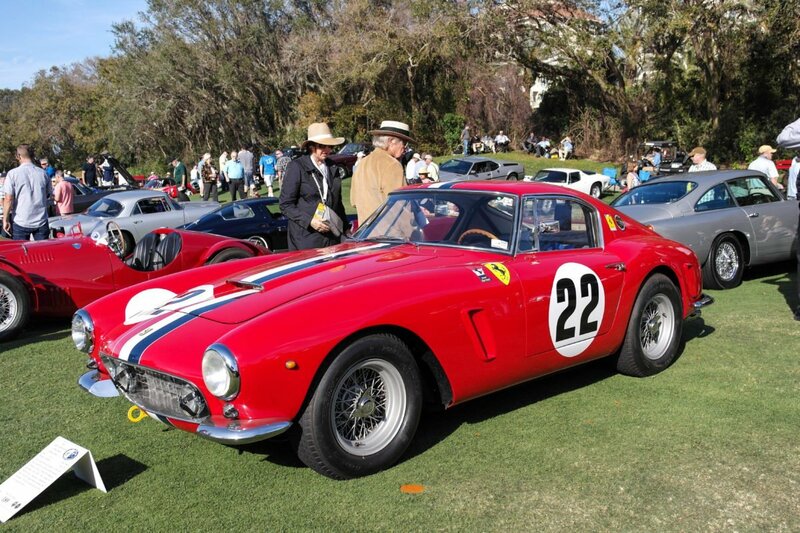 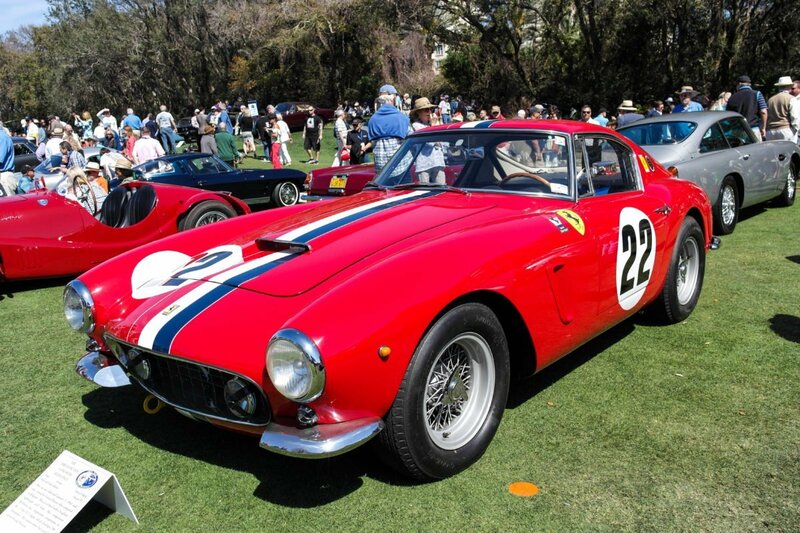 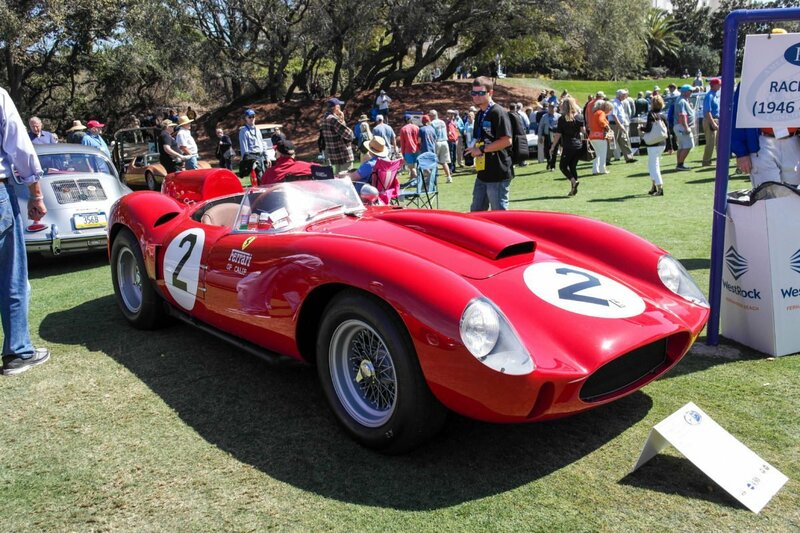 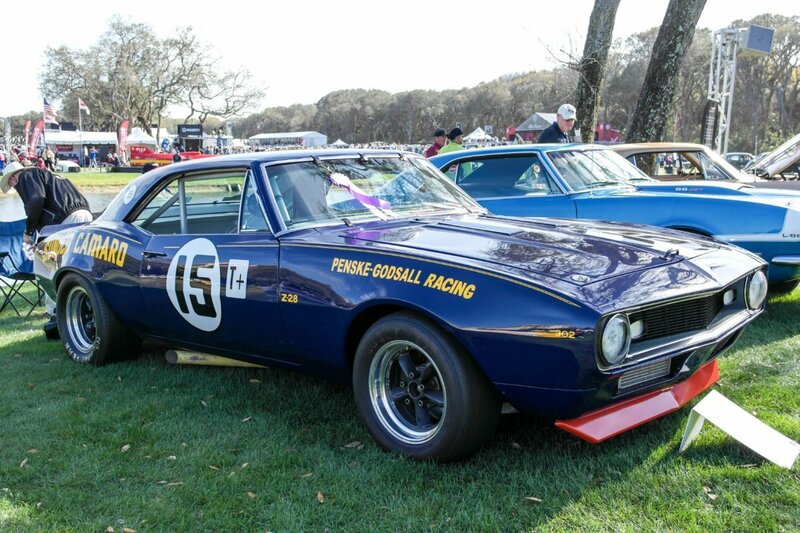 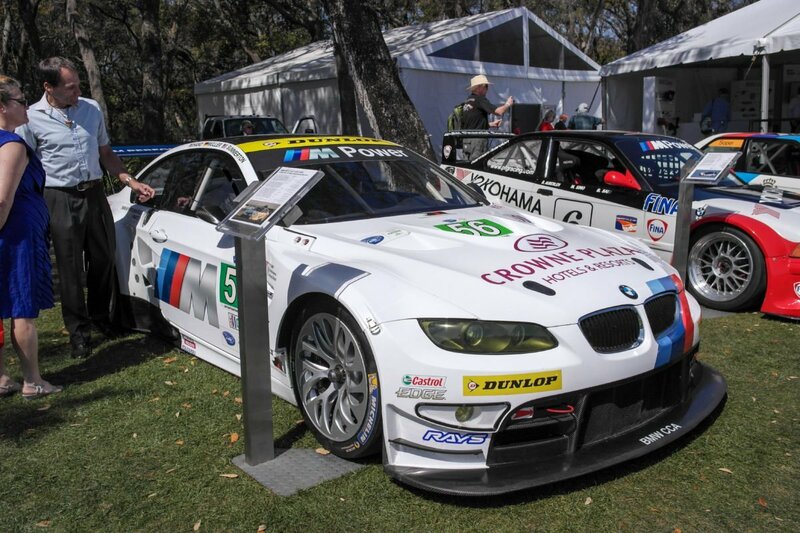 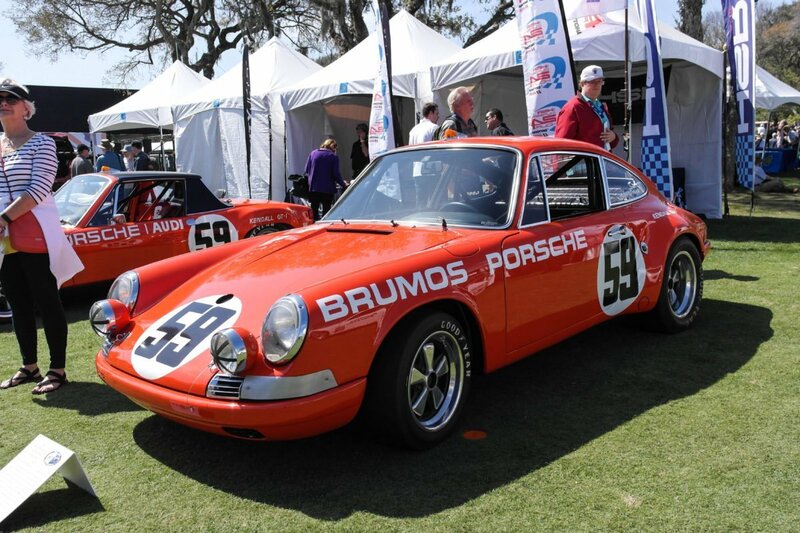 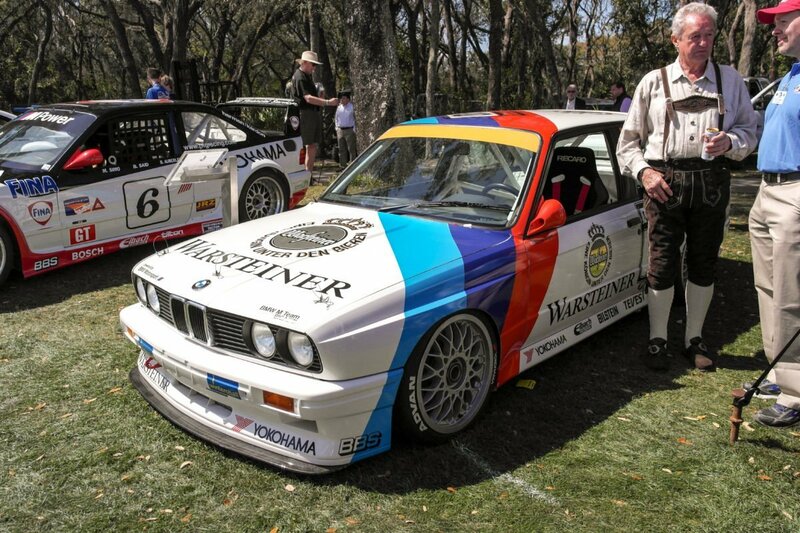 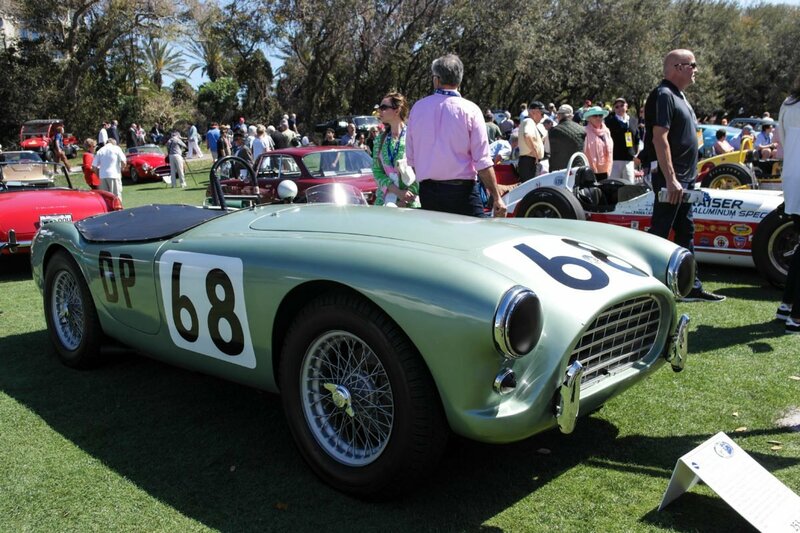 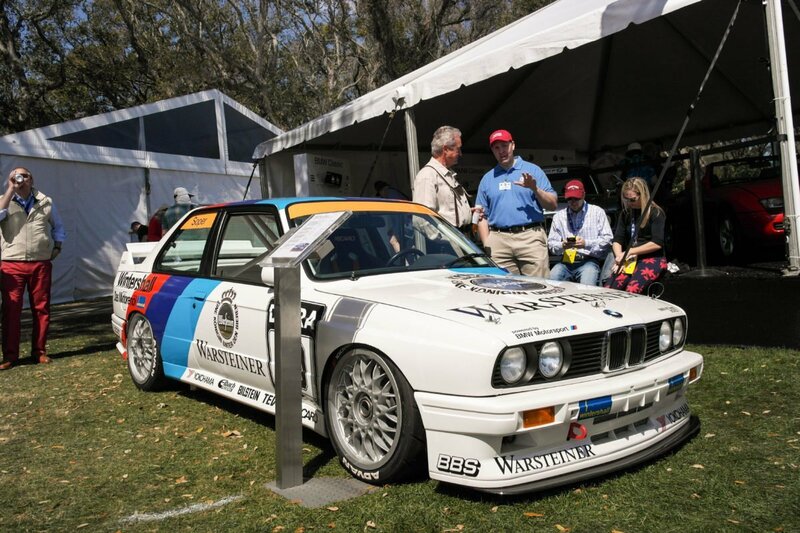 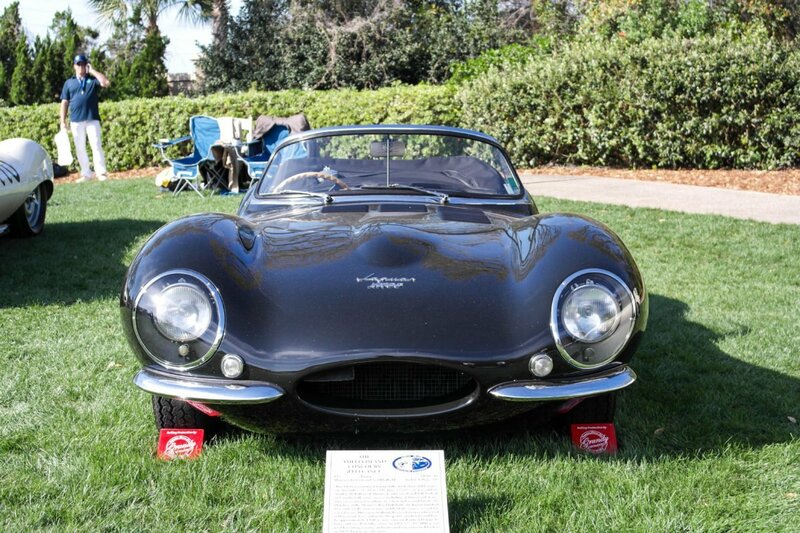 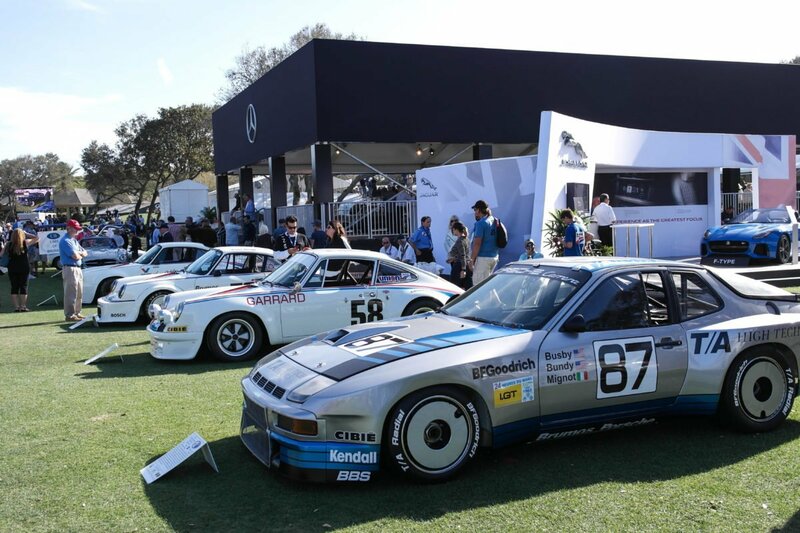 More than 300 cars competed for trophies within 40 distinct categories, as well as numerous one-off corporate awards. 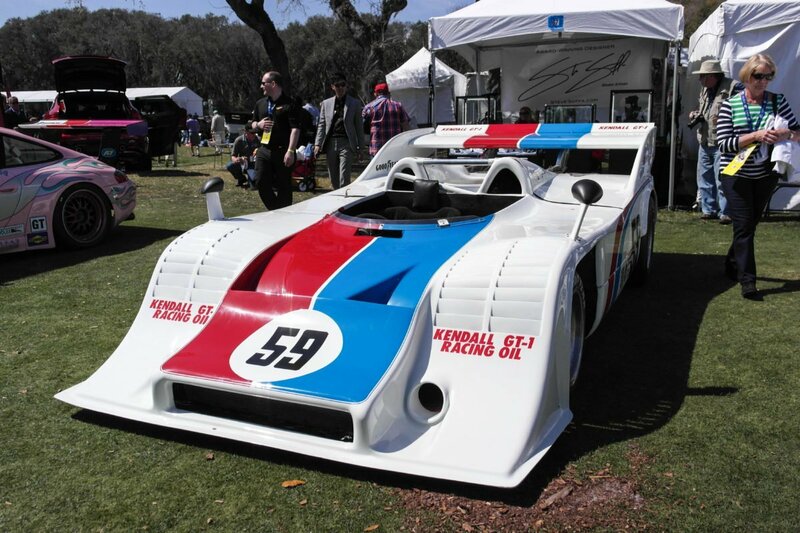 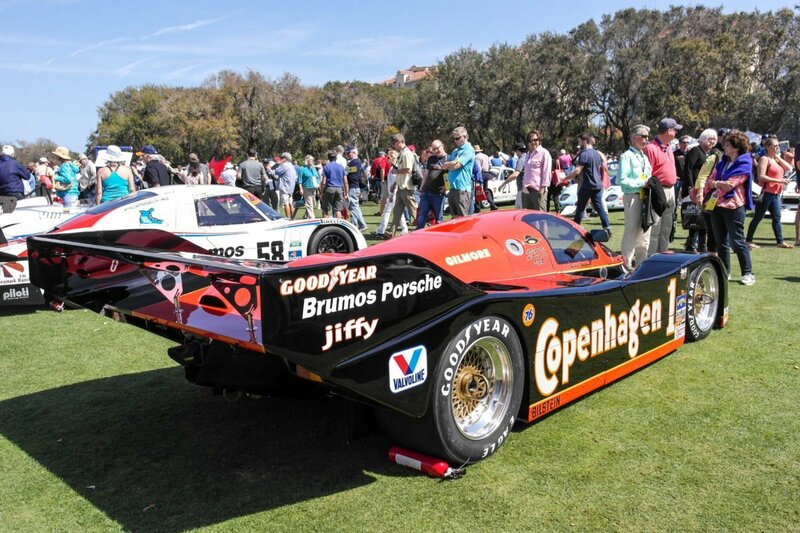 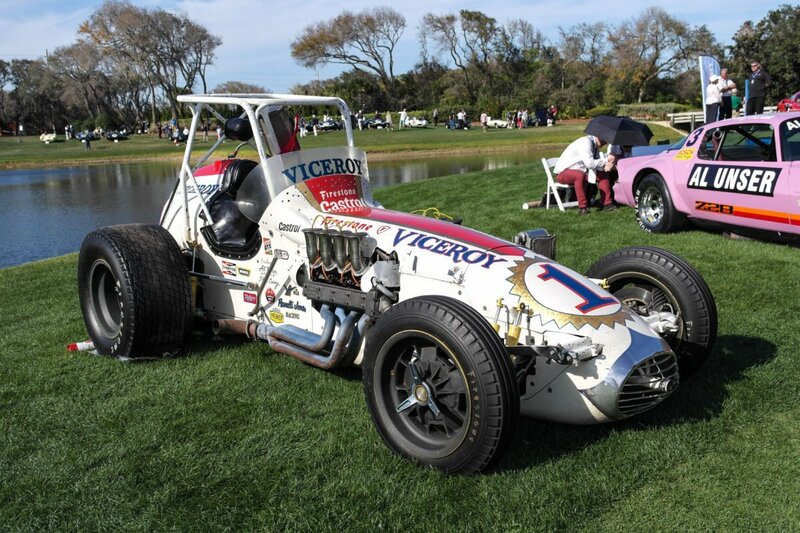 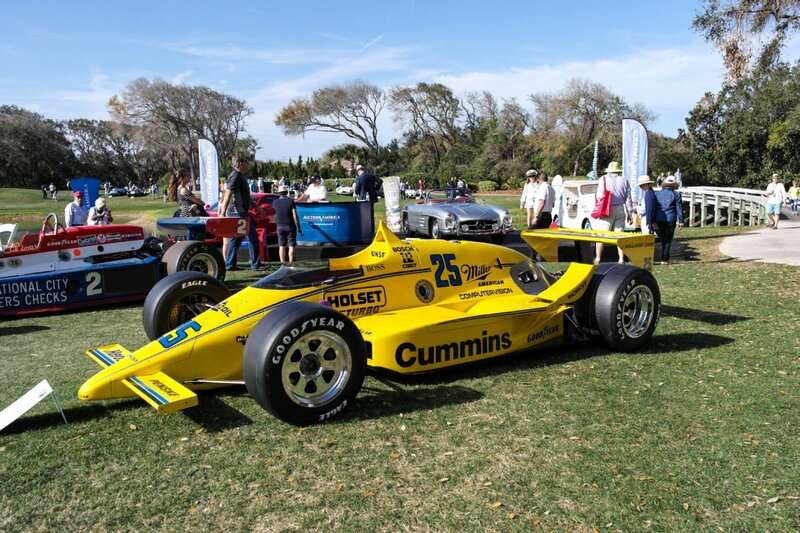 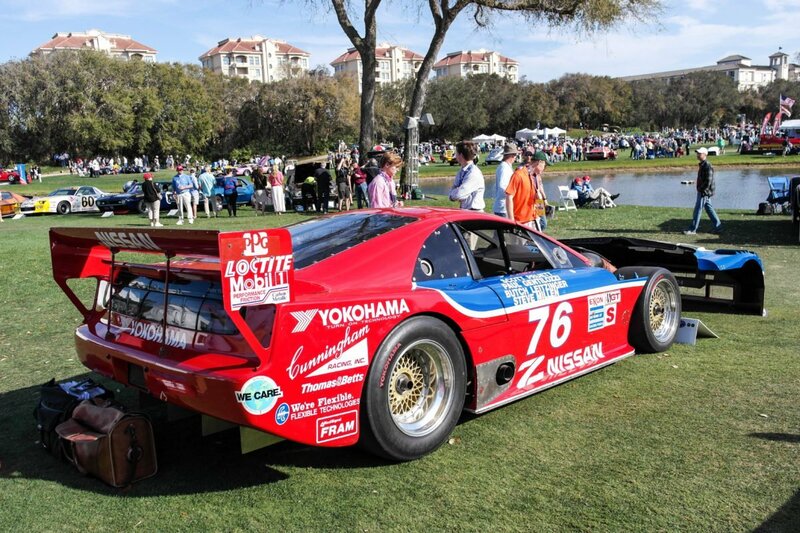 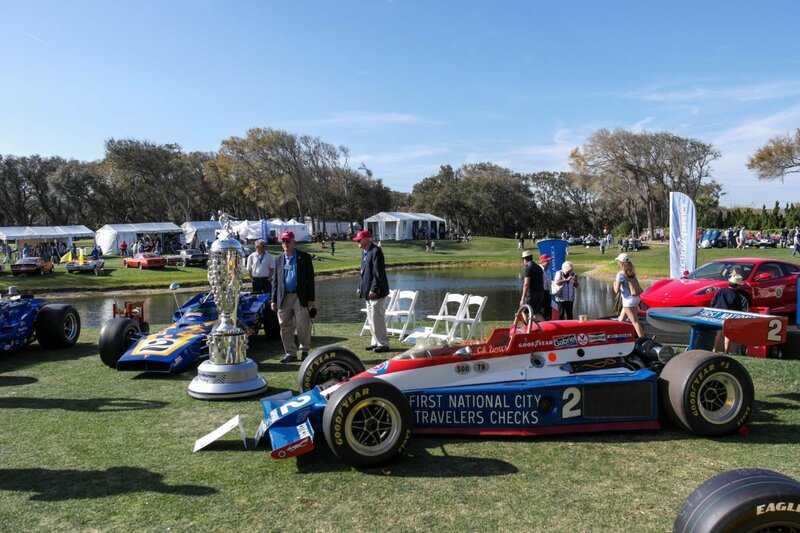 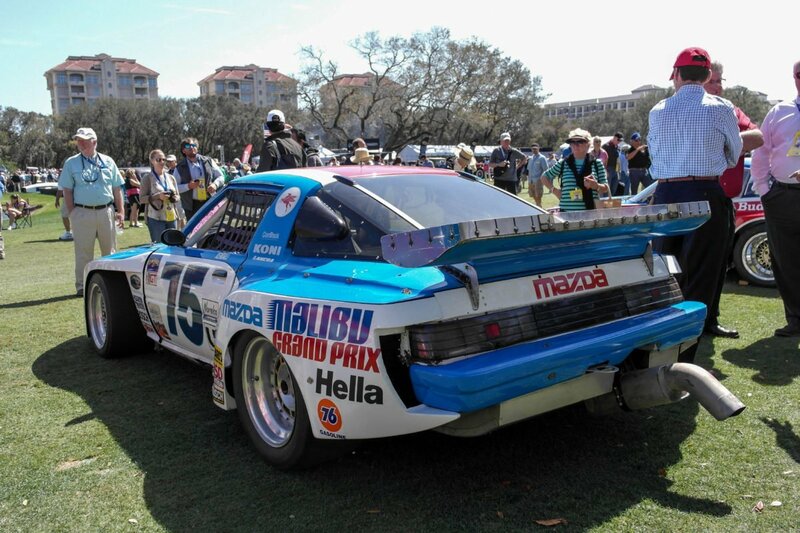 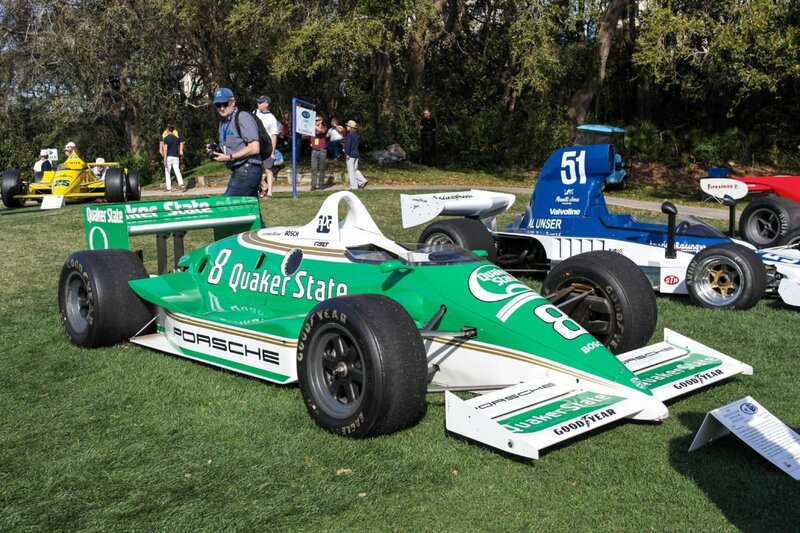 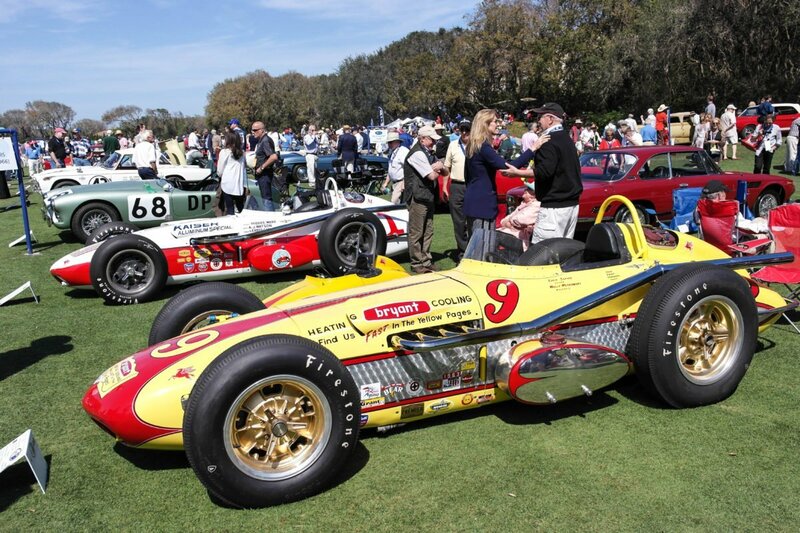 A number of Indy and prototype racers piloted over the years by Al Unser Sr., this year’s honoree, could be found flanking the pond near the course’s 18th hole. 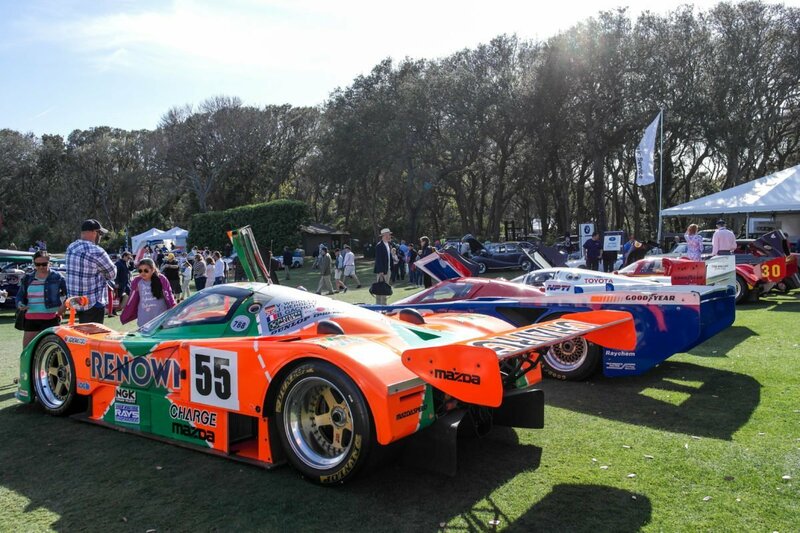 Other focuses for the show this year included classic Japanese racing cars, a sampling of Porsches from Brumos Racing’s illustrious history in sports car competition, 50 years of the Camaro, famous movie cars from decades past, a baker’s dozen of the stupendously rare (and valuable) Jaguar D-Type and XKSS models, the Mercedes-Benz 300SL Gullwing and Chrysler’s groundbreaking Airflow model from the early 30s. 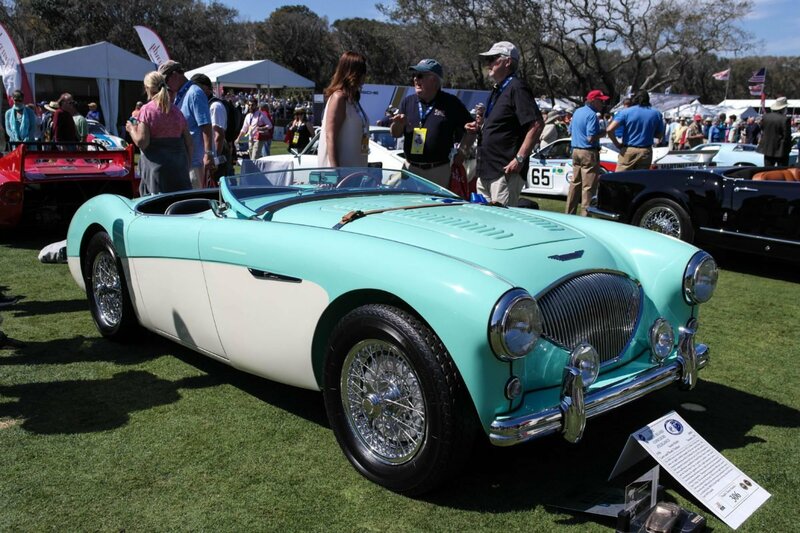 All of this in addition to the usual complement of ultra-rare Ferraris, Rolls-Royces, Bentleys, Packards and countless pre-war, coach-built American beauties. 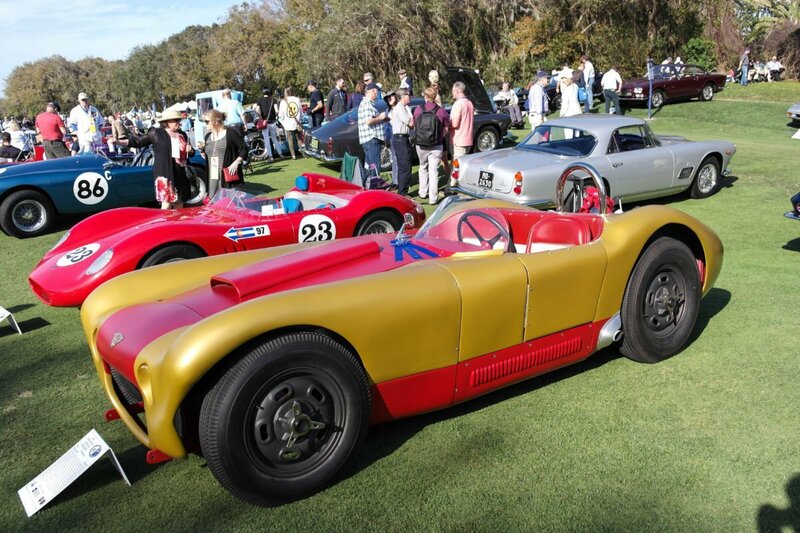 At the end of the day, the 1939 Alfa Romeo 8C 2900B Lungo Spider took the coveted crown of best in show for Concours de Sport, while a 1935 Duesenberg Model SJ-582 was awarded best in show for the Concours d’Elegance. 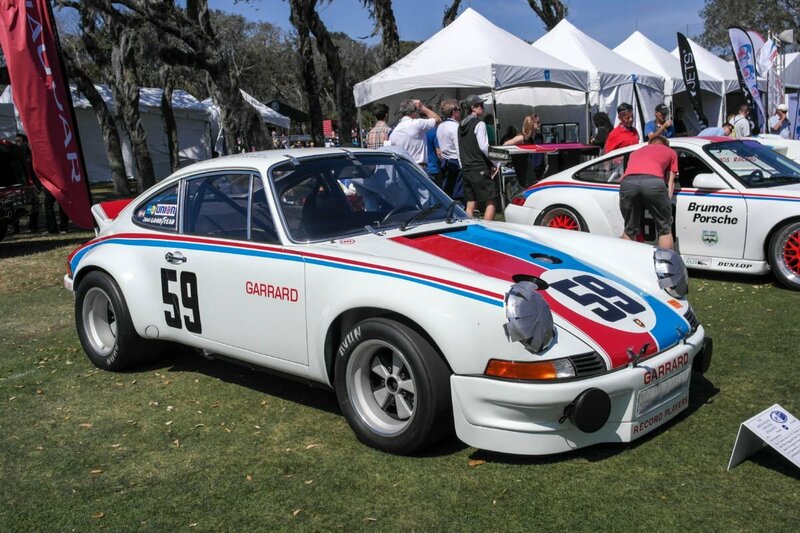 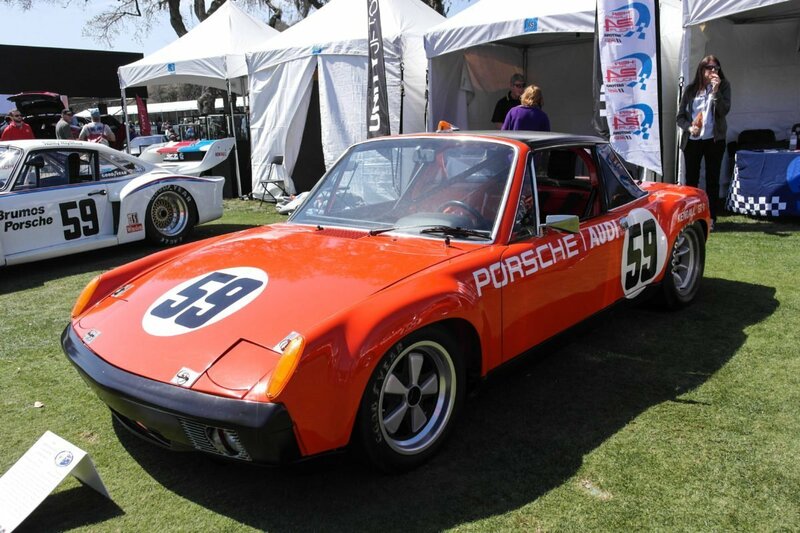 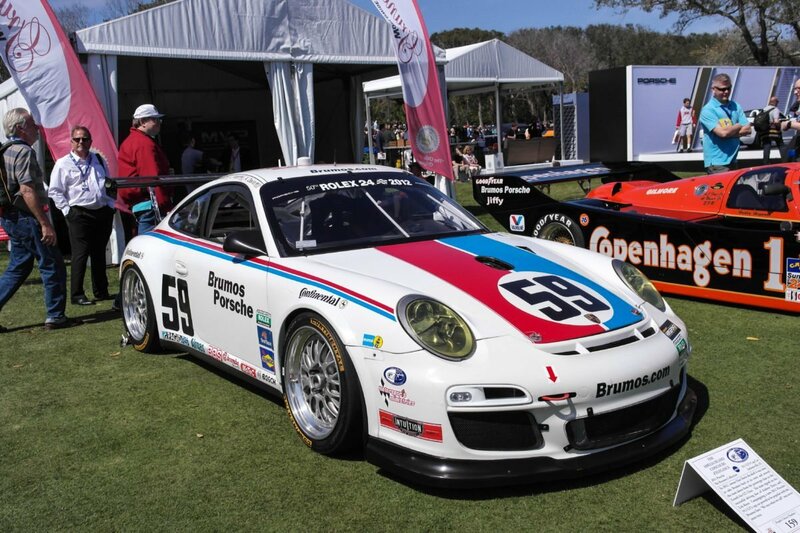 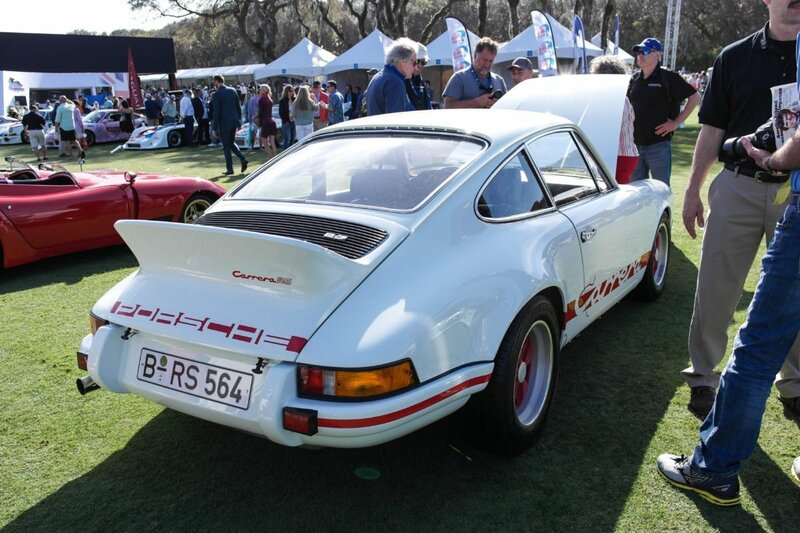 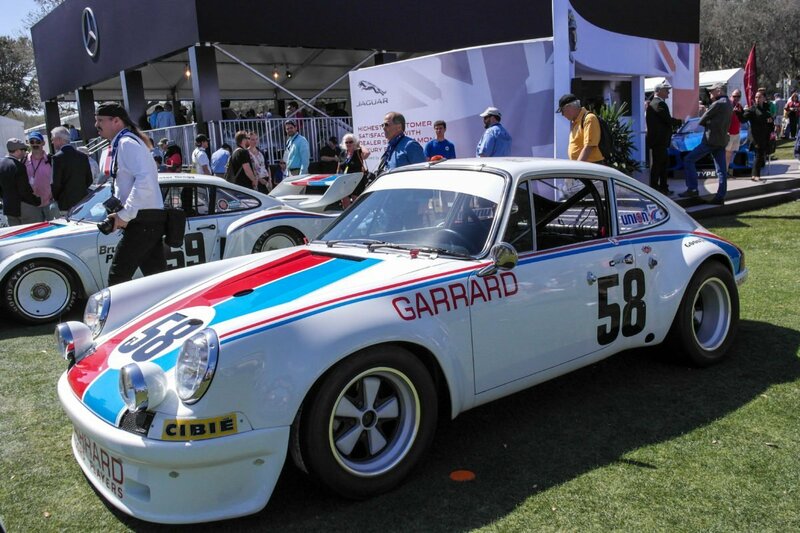 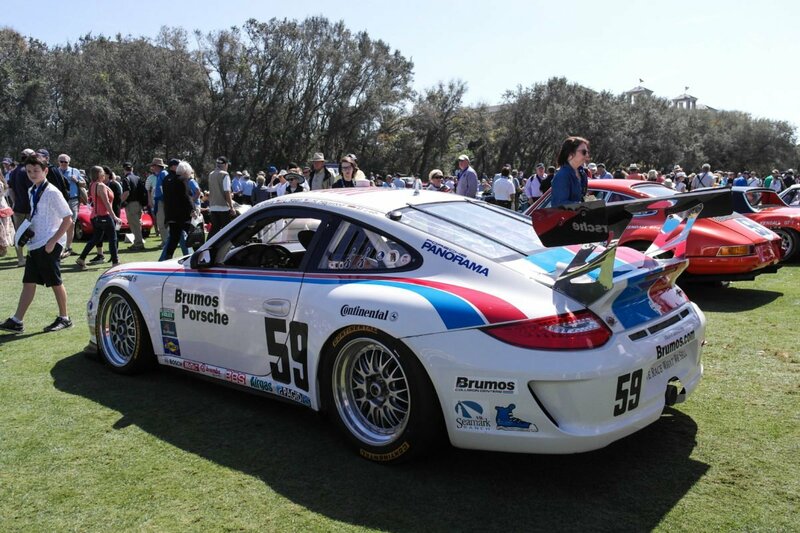 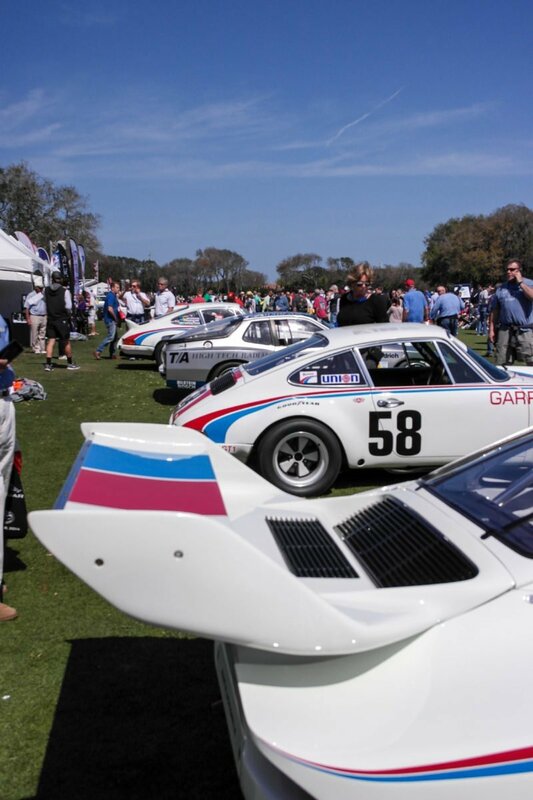 Unsurprisingly, my eyes were drawn toward the various Porsches on display this year, of which there were many. 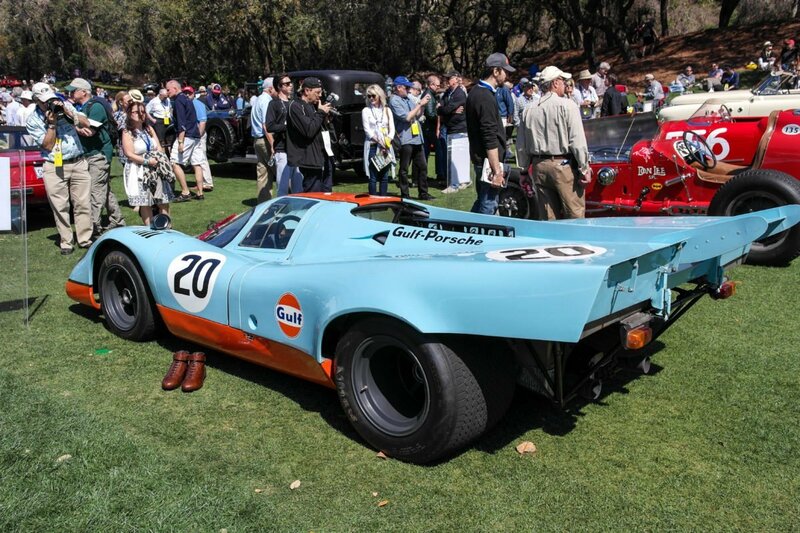 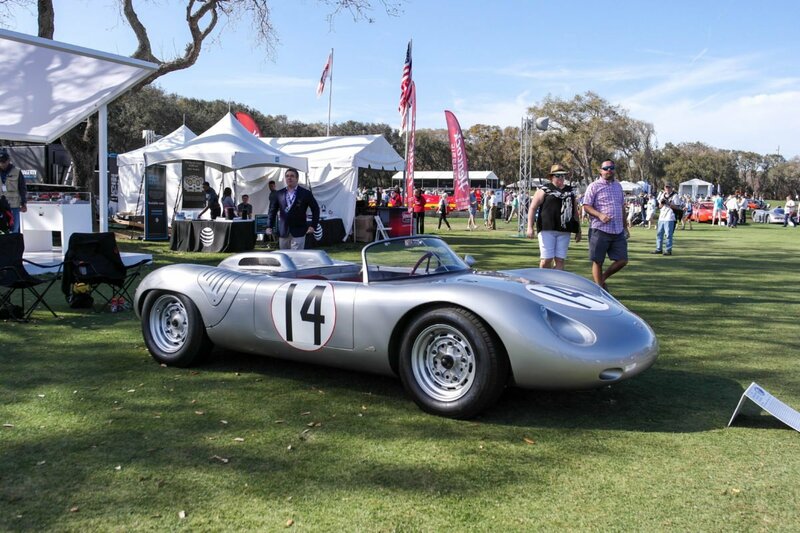 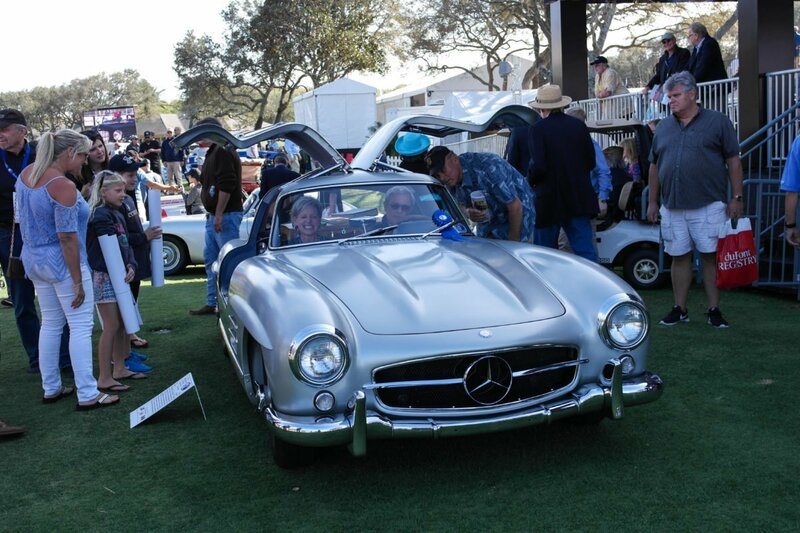 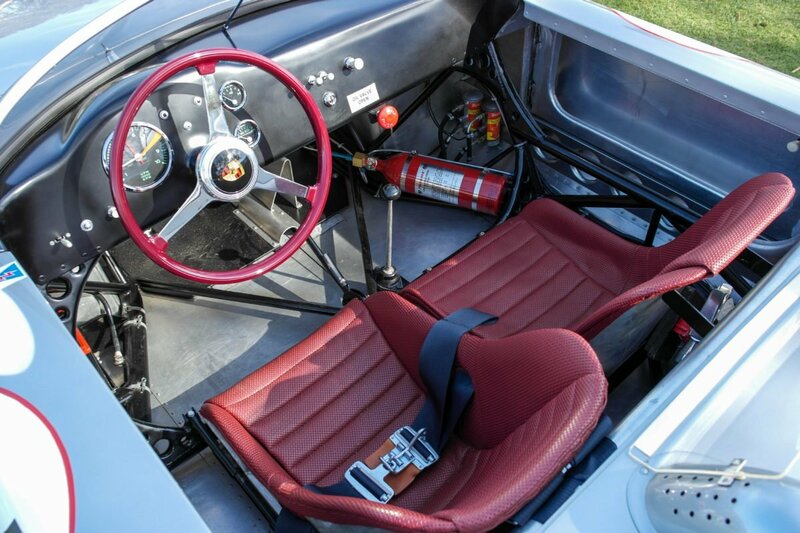 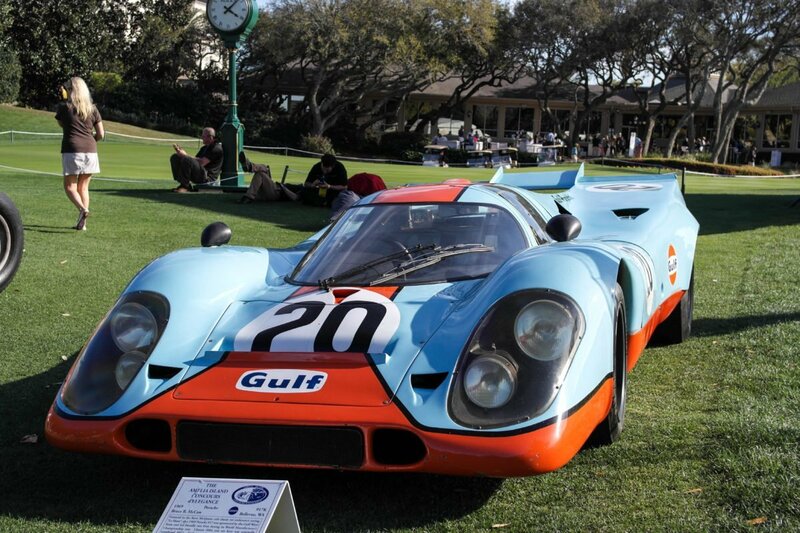 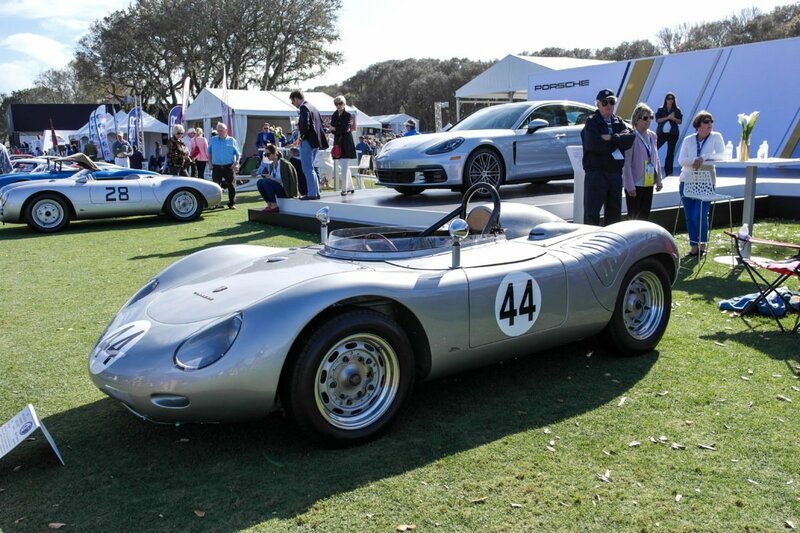 Some of the standouts included the Le Mans movie star 917K, an RSK 718 Center Seat, and a stunningly blue 550 Spyder. 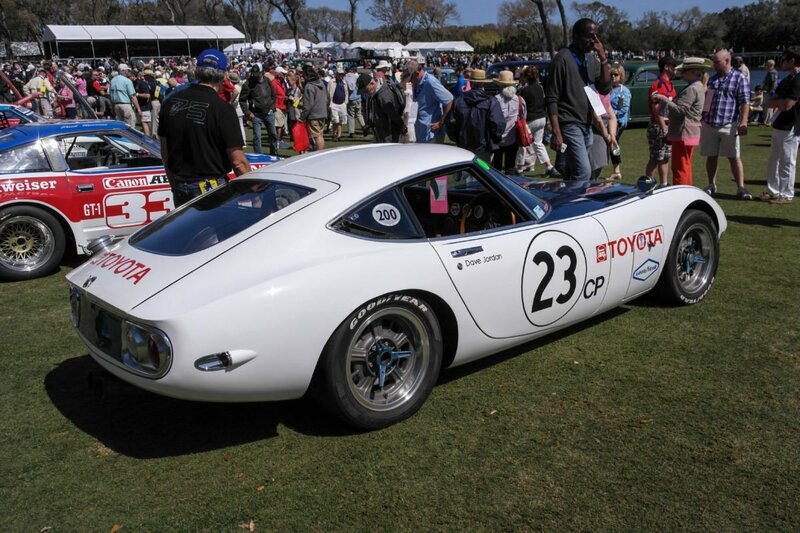 And don’t get me started on the display of classic Japanese racers – the stuff of true Gran Turismo childhood legend, in the metal. 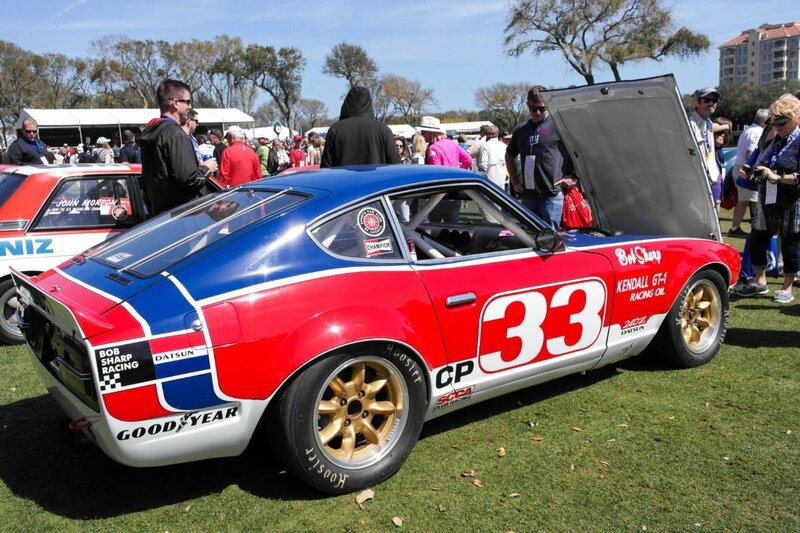 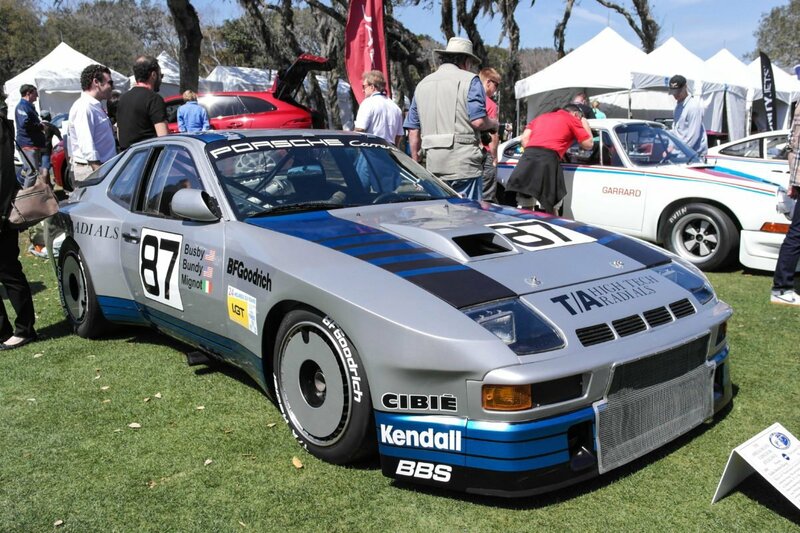 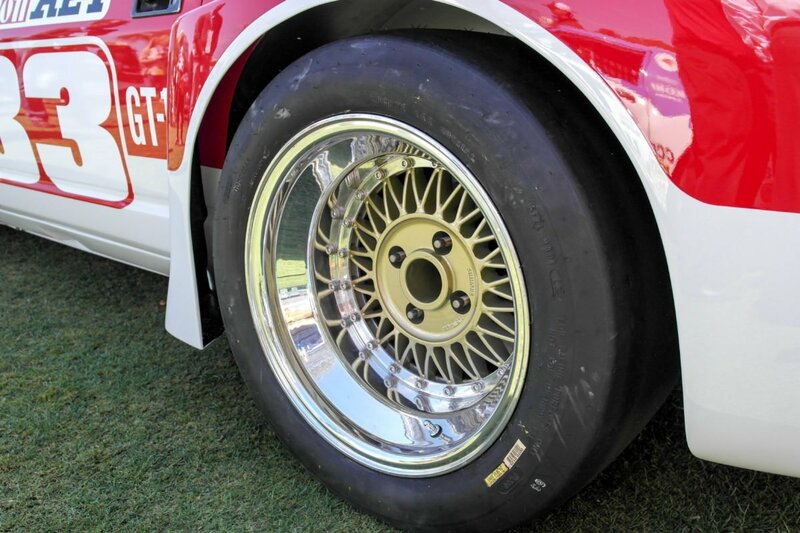 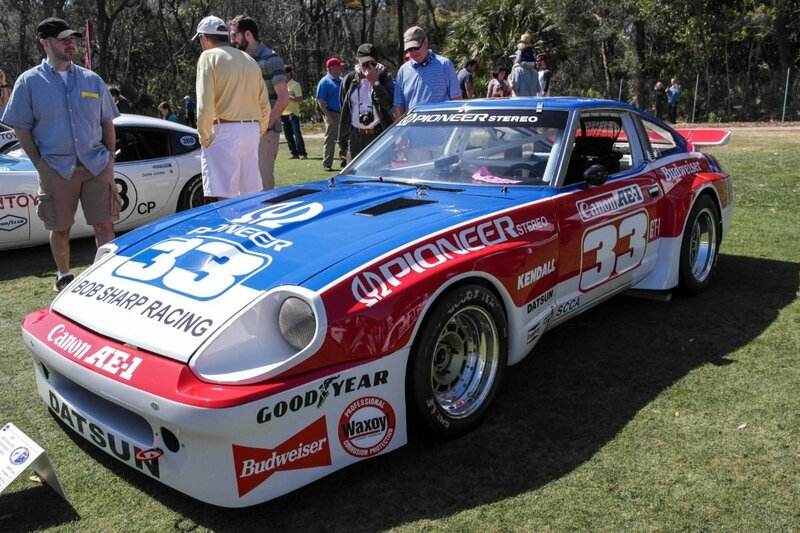 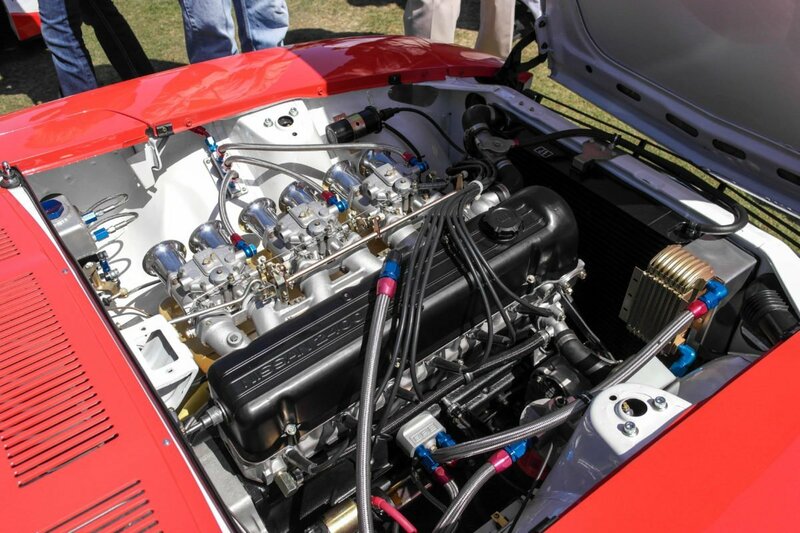 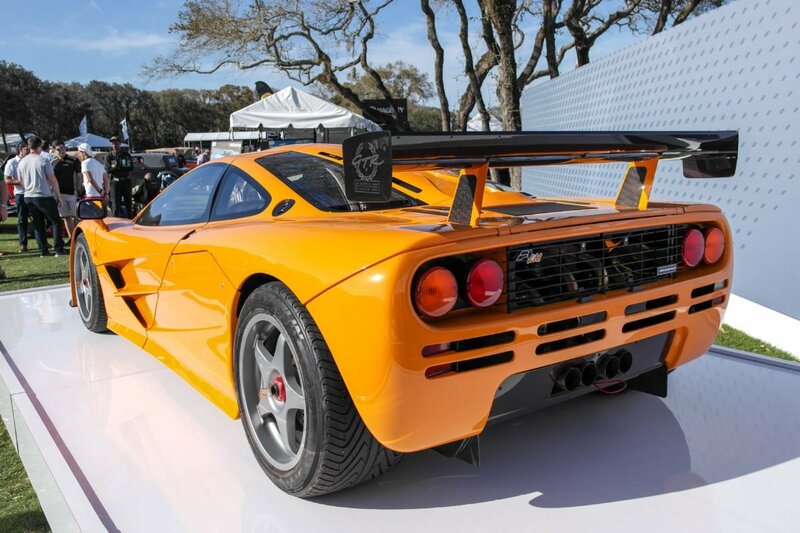 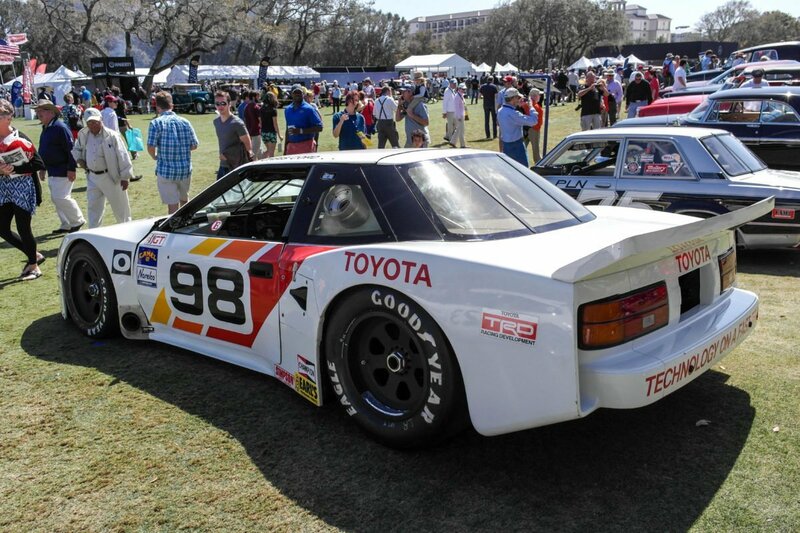 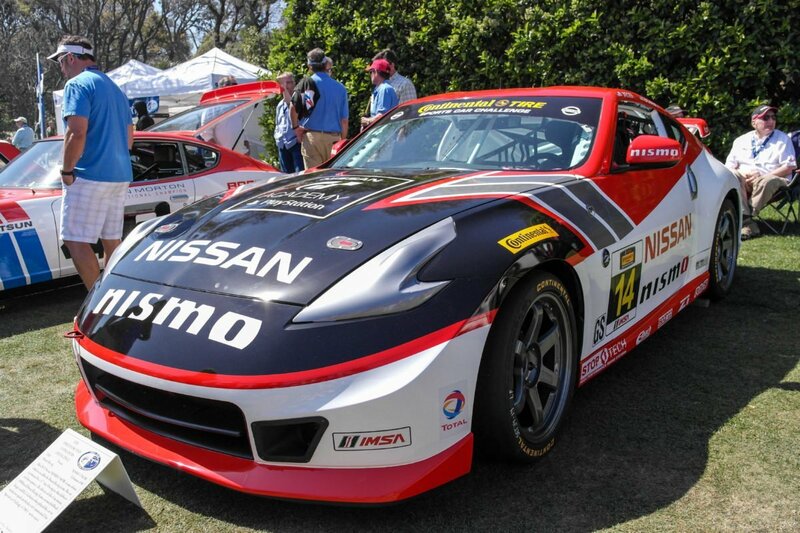 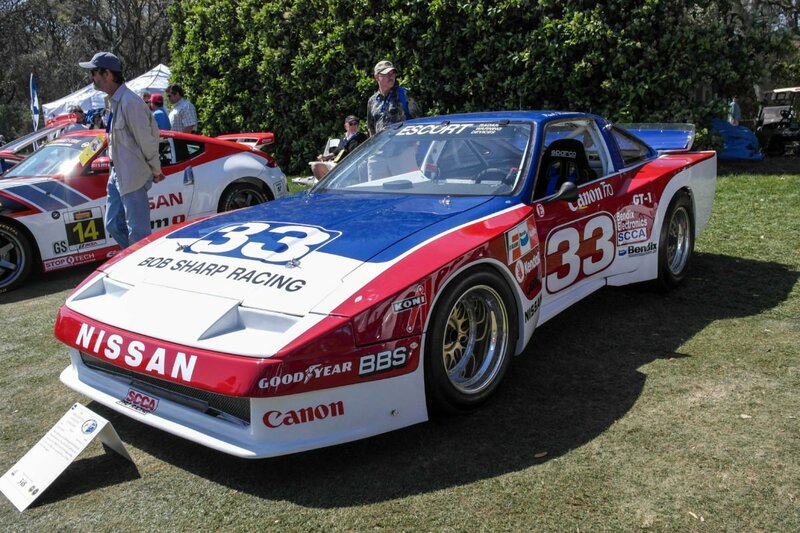 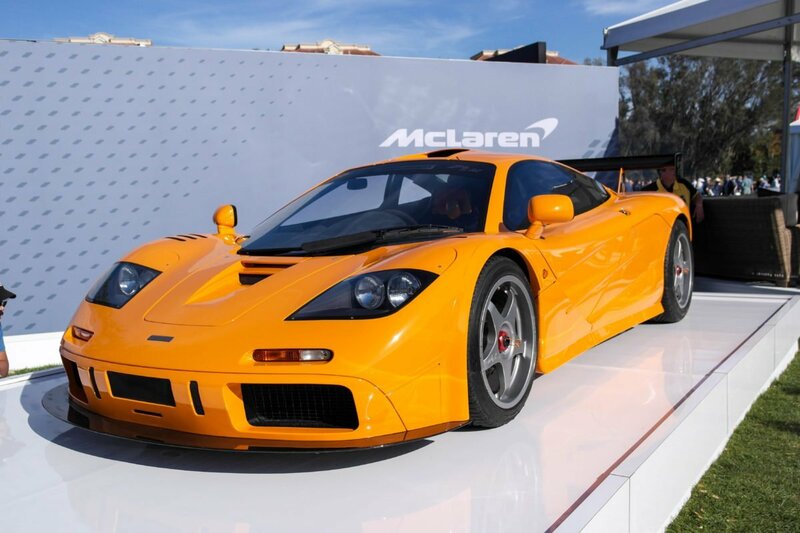 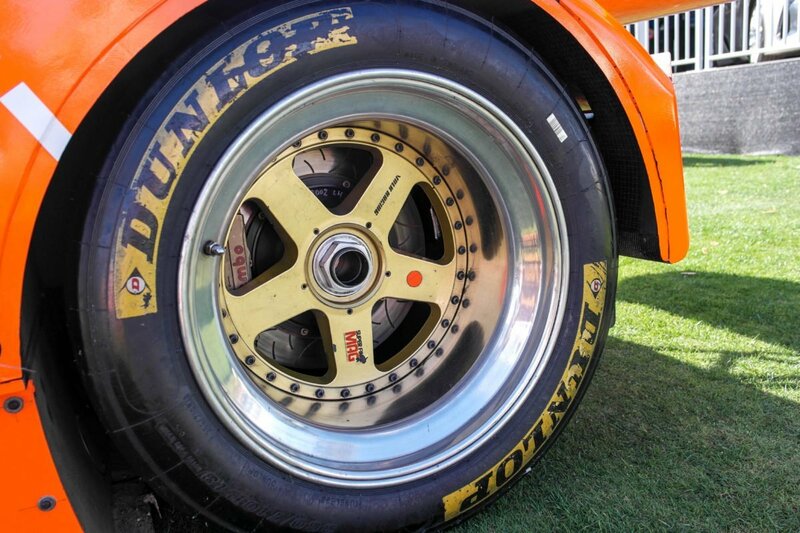 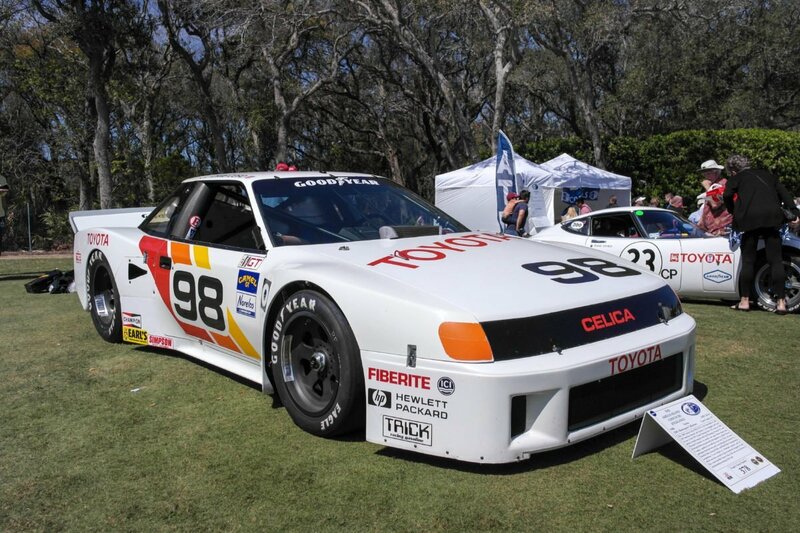 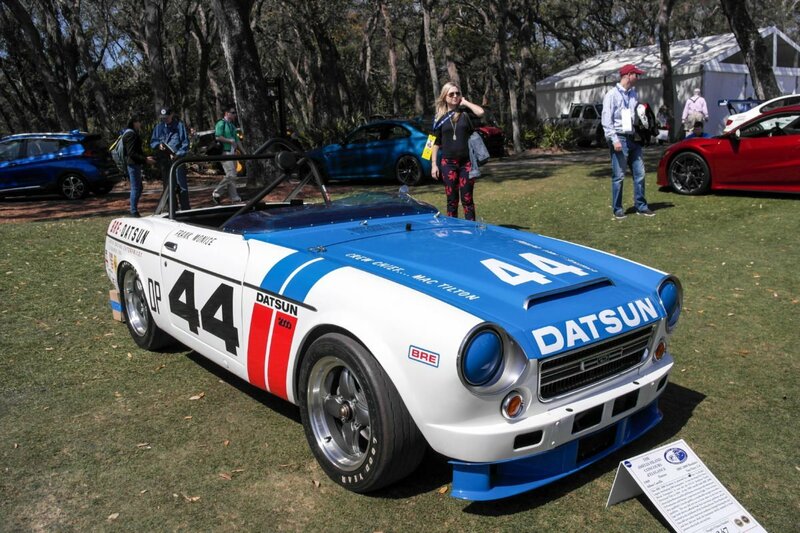 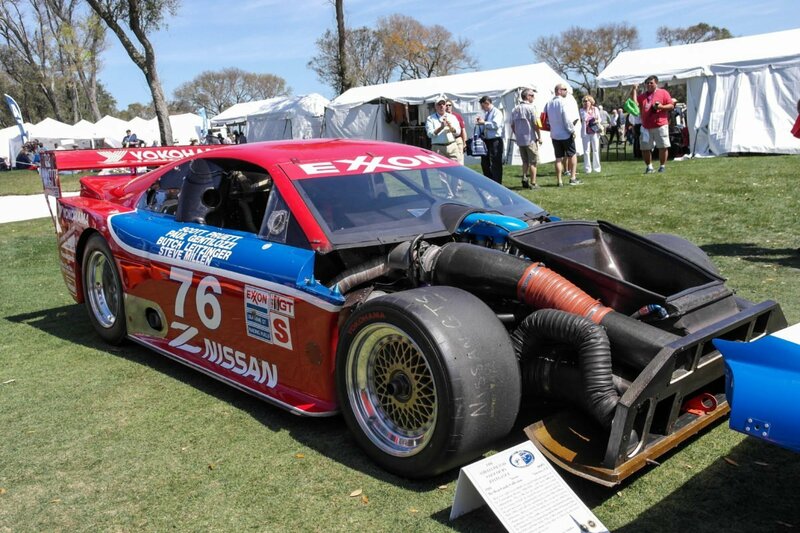 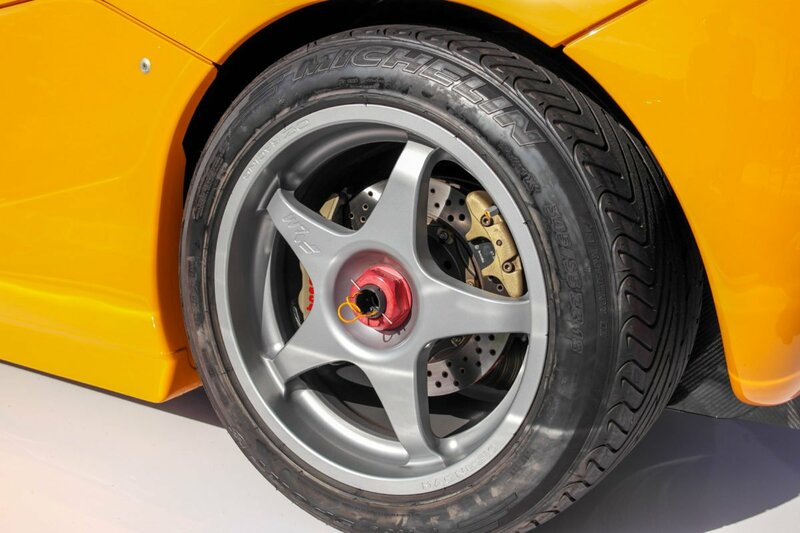 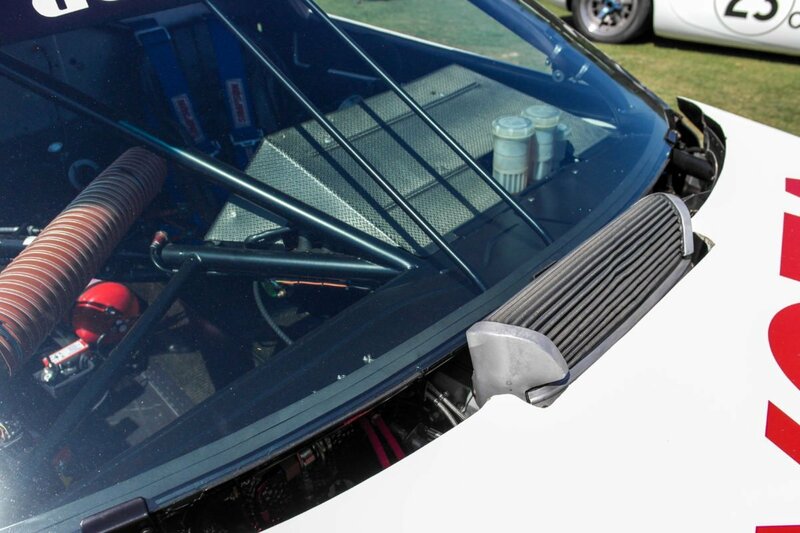 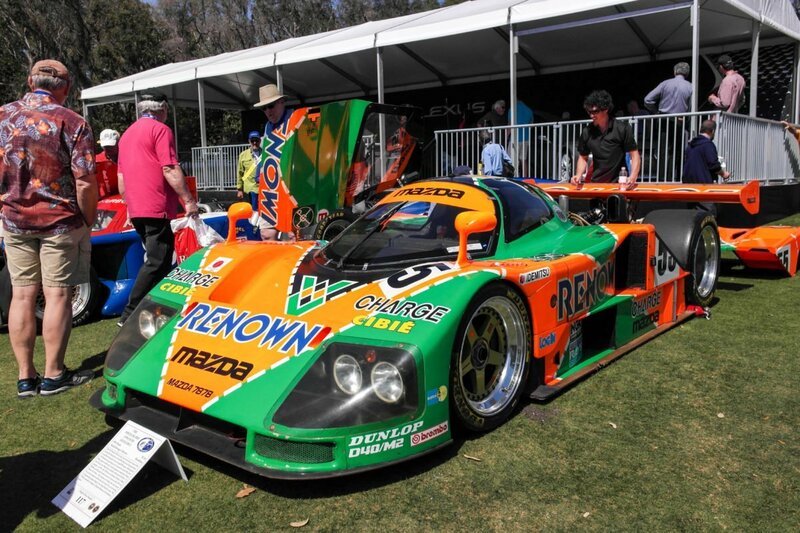 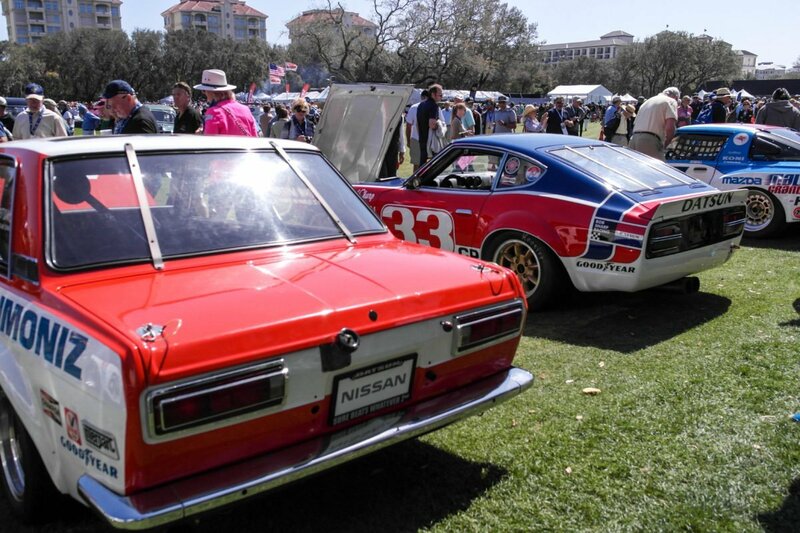 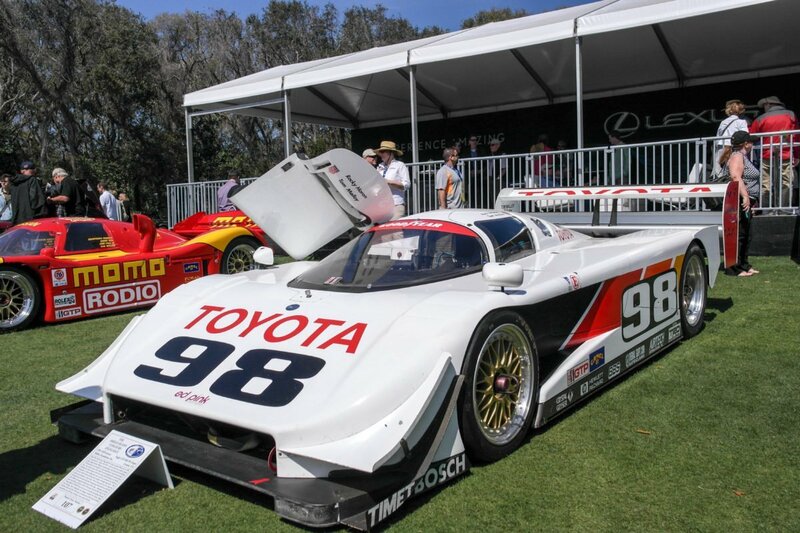 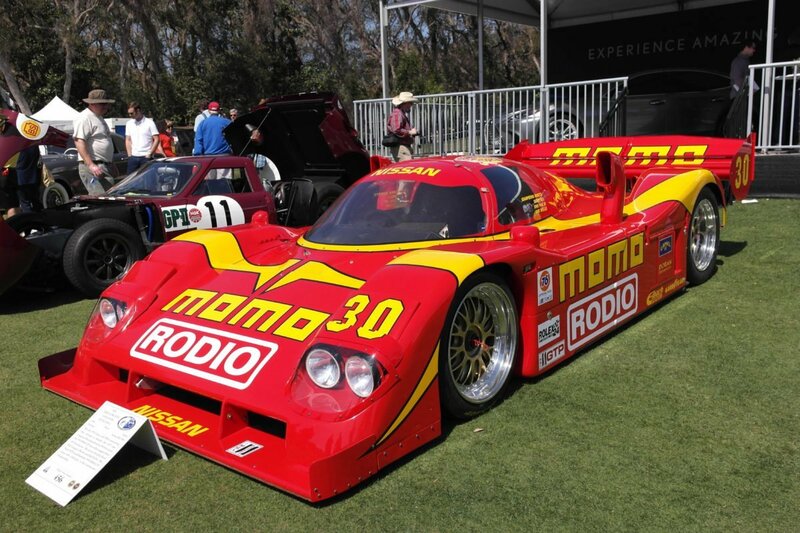 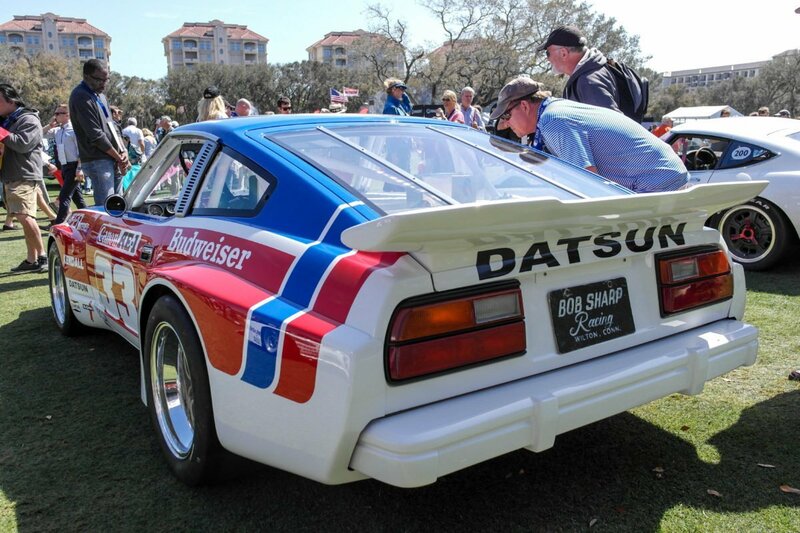 Everything from the serious prototypes of the 1980s and 90s – the Nissan NPT-90, AAR-Gurney Eagle GTP Coupe, the Mazda 787-B – to the production-based items like the successful BRE Datsun 510 and 2000 Roadster (owned by none other than Adam Carolla) and a smattering of Z-cars, Mazdas and Toyotas. 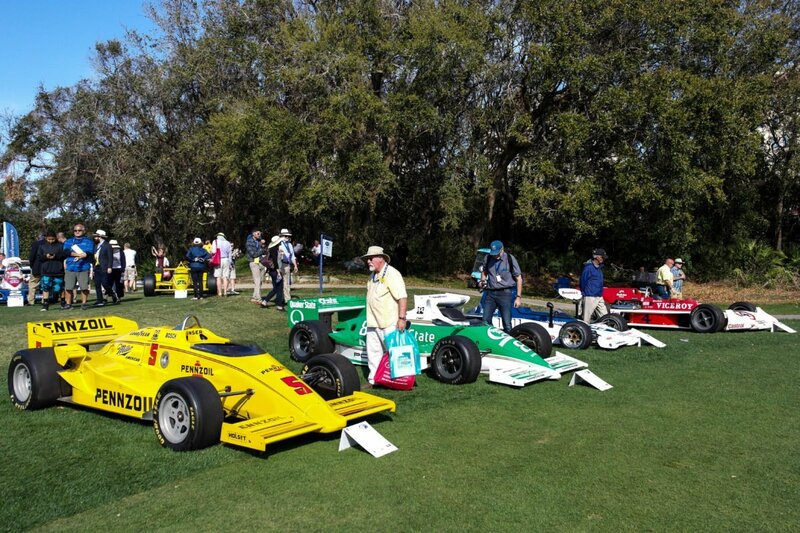 For anyone in doubt of the appeal this otherwise quiet Florida vacation island holds for car guys once a year, a single visit is all it takes. 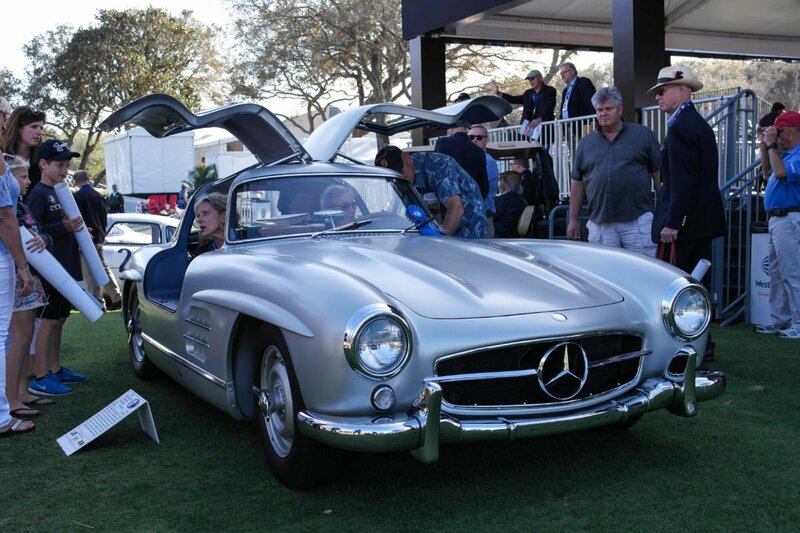 I’m officially hooked – hope to see you there next year.